The College of Bishops of the South Central Jurisdiction will take the lead in getting Bishop Earl Bledsoe assigned to an episcopal area, and the goal is to have him in place by January. 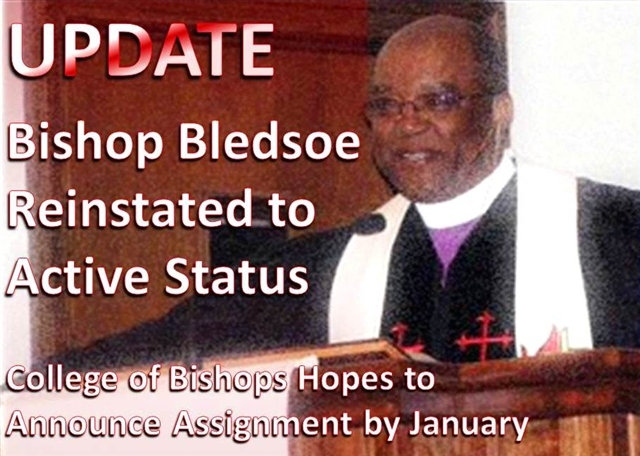 Bishop Janice Riggle Huie, president of the College of Bishops, did not say in her Monday (Nov. 19) press release that Bishop Bledsoe would be assigned there. But she did say the cabinets and episcopacy committees of the Northwest Texas and New Mexico Conferences would be consulted before the assignment. Reached by phone Monday, Bishop Bledsoe declined to say if he expects to go to the Northwest Texas/New Mexico area, which has its episcopal residence in Albuquerque. 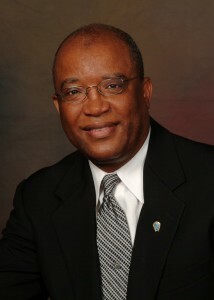 An assignment of Bishop Bledsoe under paragraph 406 of the Book of Discipline – the paragraph most thought would guide this unprecedented process – would seem to have required a special meeting of South Central Jurisdictional conference delegates, at a projected cost of $150,000 to $175,000, with no swift resolution and lots of logistical headaches. 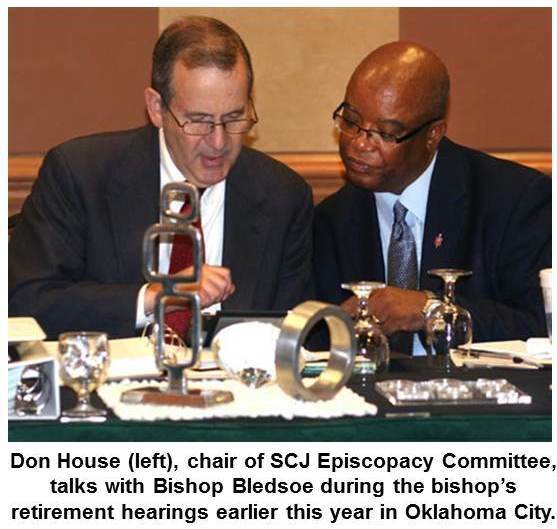 However, Bishop Huie said the College of Bishops has determined, in consultation with Don House, chair of the jurisdictional episcopacy committee, that Bishop Bledsoe would be assigned under paragraph 407 of the Discipline. Paragraph 407 allows a College of Bishops, after consultation with jurisdictional and conference episcopacy committees and conference cabinets, to nominate a replacement. To read the entire update, visit unitedmethodistreporter.com or umcconnections.org. 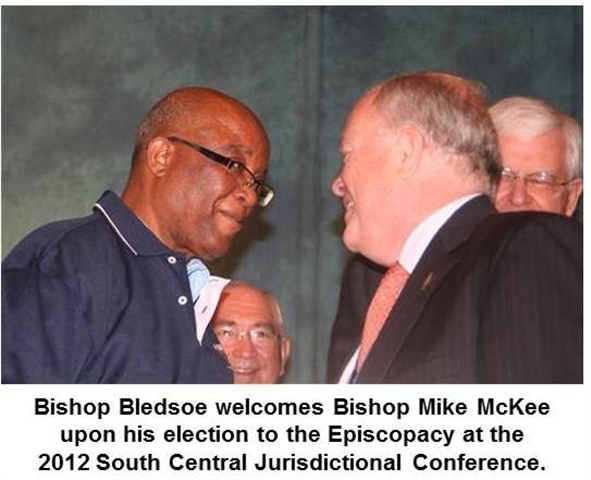 The following is the original post announcing the Judicial Council's reversal of the SCJ decision to involuntarily retire Bishop Bledsoe. 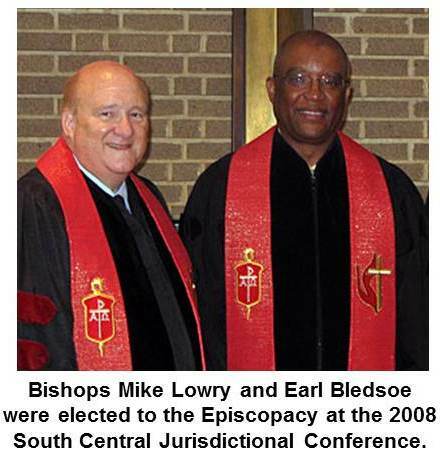 The Judicial Council of the UMC has reinstated Bishop Earl Bledsoe to active status, finding that his involuntary retirement by the South Central Jurisdiction’s episcopacy committee violated fair process through “numerous errors” in procedure. You can read the full text of the decision here. The episcopacy committee voted earlier this year to retire Bishop Bledsoe involuntarily, based on its evaluation that he was ineffective as leader of the North Texas Conference the past four years. That unprecedented action was affirmed by the South Central Jurisdictional Conference at a meeting in July in Oklahoma City. Bishop Bledsoe appealed, and the Judicial Council heard from his attorney, Jon Gray, and from the chairman of the episcopacy committee, Don House, during a three-hour hearing Friday in Phoenix. The council agreed with Mr. Gray that the committee had violated fair process and ordered that he be reinstated with back pay and benefits to Sept. 1 – effective date of his involuntary retirement. That sum is to be reduced by the amount of contributions Bishop Bledsoe has received during the appeal to help with living expenses. The council did not rule unanimously in Bishop Bledsoe’s favor. One member, Kurt G. Glassco, dissented, finding the committee had afforded the bishop fair process. Another member, Ruben Reyes, dissented in part. The majority decision noted various ways in which the episcopacy committee did not adhere to paragraph 408.3 of the Book of Discipline, dealing with involuntary retirement of bishops. Some of the flaws found by the council had to do with timing, some with notice given to Bishop Bledsoe about the reasons for the action against him, and some with the committee’s effort to show that involuntary retirement was in the best interest of the bishop and/or church. Mr. House said that though the majority’s decision went against his committee, he was glad to have a ruling spelling out how an involuntary retirement decision can be done under church law. “There are people that will say this has set us back and there will be no accountability, but I think what has been provided to us by the Judicial Council is a more clear idea of how this is to be done,” he said. During the Friday hearing, Mr. House praised Bishop Bledsoe as a spiritual leader. But he stressed that the episcopacy committee felt the South Central Jurisdiction needed to take the lead in reversing the long decline of the UMC in the United States, and decided that accountability must include the bishops. Though Bishop Bledsoe attended Friday’s hearing in Phoenix, his case was argued by Mr. Gray, a former member of the Judicial Council. Bishop Bledsoe did speak briefly, after a request by Mr. Reyes that he explain why he’d announced his retirement, then reversed course. Just before the North Texas Conference’s annual meeting in early June, he surprised many by making a video announcement that he would retire, saying he felt God was leading him in another direction. At the very end of the meeting, on June 5, Bishop Bledsoe dramatically announced that he had reconsidered and would fight to remain an active bishop, despite pressure from the episcopacy committee for him to step aside. Bishop Bledsoe told the council he ultimately concluded that the evaluation was unfair, that statistics bore out the good job he’d done, and that the episcopacy committee had been unduly influenced by his opponents in the North Texas Conference. Mr. Gray said immediately after the hearing that he took some encouragement from the Judicial Council’s recent overturning of General Conference legislation to end guaranteed appointment for ordained elders. That legislation and the involuntary retirement of Bishop Bledsoe have in common a shorter-than-usual process for removing someone, according to Mr. Gray. “It’s a choice between giving someone fair process or pushing somebody off the cliff in 30 days … This is against our history and polity,” he said. So, Where Will Bishop Bledsoe be Assigned? Just as the decision to retire a bishop involuntarily was unprecedented, so, apparently, is the task of assigning a reinstated bishop. “The circumstances before us are new ground,” said Bishop Janice Huie, president of the South Central Jurisdiction College of Bishops, in a brief, carefully worded statement.